The ones with the stars were ones I kept coming back to a few times. I have a tough time choosing words for several reasons. I don’t want to pick a word for something I wish I were. Like “easy.” I feel that when I pick a word that’s likely to make me feel intimidated, I spend most of the year feeling bad about letting myself down. The word should push/encourage me but it shouldn’t be aspirational. It should be inspirational. I loved my 2015 word (brave) so much that I feel I am always trying to find a word that will be as magical as brave was for me. I am learning that I will just have to carry brave around with me forever and not worry about having such a powerful word each time. As it seems to be my trend lately, I picked my word many many months before the year started. Even though I went back and forth many times and I am still finding myself wavering at times, I’ve settled on SHINE for 2017. This word is coming from a story I mentioned a while back. Back when I was training to be a life coach, in one of my classes, we did a visualization exercise called The Captain. During my exercise, I was sitting in the woods (peaceful, quiet woods) when this little girl (who looked like me) came over to me and gave me a box. Inside the box was light. When I opened it, it shone everywhere, it filled the forest up. She said it was my light and that she was a reminder to let my light shine and that I was here to also be the reflection for others’ light so I can show them how their light is shining, too. I know it sounds corny. But this is what happened when I did the exercise and I haven’t stopped thinking about it even though it was quite a few years ago, now. So when I was thinking about my word, I decided this was my year to shine (and help others shine). Heal: To shine means I will focus on healing the parts of me that feel broken. To see myself as whole and enough. It means I am going to work on remembering that I have this big source of light inside me and that part of me overshadows everything else. Light comes through the cracks and it takes over the dark. I will embrace me, all of me, and let my true self shine. 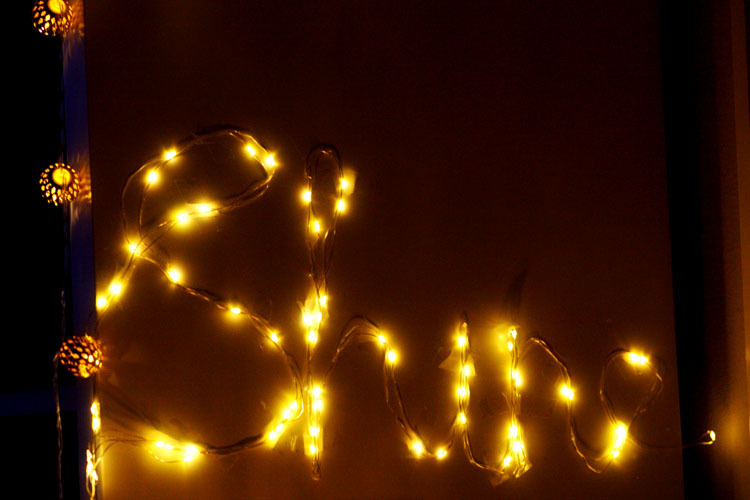 Open: To shine means to be open and to receive and give generously. There’s no limit to my light. I will not run out. I can feel others with mine and also allow myself to bask in theirs because it’s an unlimited resource. I am open. Bold: To shine means to be brave. To show up. To be bold. There’s no more hiding in the shadows. No siting back. It’s being there. Being visible. Radiating. Reflect: A big part of shine for me is reflecting other people’s light back on to them. Reminding everyone of how they have their own amazing light inside and encouraging them to shine, too. Imagine if we all chose to shine, how amazing would it be? So there we go. Here’s to a year of radiance. Illumination. A year full of shimmer. Sparkle. Glow. Here’s to 2017: my year to SHINE. Best for those with a humanitarian bent (and whose activities reflect that), this is a loaded prompt with many aspects to address. There are two main topics involved: volunteer/humanitarian-related work and creativity. The prompt asks how helping others has led to an outpouring of personal creativity in your life, weaving the two topics together. Choose an experience where you responded to a need, and how you were able to exercise creativity through it. This will most likely show up in the form of having to come up with unconventional ways to solve problems that you face with volunteering. Did you need to serve dinner to a couple hundred people at a homeless shelter and had to come up with a spontaneous line organization system? You don’t need to limit yourself to strict volunteer work, though. You can write about teaching your younger sister how to tie her shoe in a way she could remember, or starting a food compost system at your school with limited supplies. Just remember to illustrate your creativity through solving the problem. This prompt also allows for a wide range of responses. You can write about virtually anyone here. The essay should be divided into two portions, the first part describing the event and its consequences, and the second your thoughts on whether you would have made the same decision and why. Feel free to choose a widely publicized event or one that is more personal, at which you may have been present. You have higher chances of landing a more unique topic if you choose to talk about a friend’s decision versus a political leader’s, but choose whatever you feel most strongly about; what matters most is your analysis of the event and decision, not the event itself. The goal of this prompt is to communicate to admissions committees your method of thought and the process through which you come to logical conclusions. You can choose to delve into something deep such as the U.S. deciding to bomb Japan to end WWII, or something lighter, such as someone deciding between pursing college or going directly to the workforce to support family (keep in mind the restrictive word count). Can you detect the ramifications of certain actions, beyond the obvious? The key is to explain clearly your reasoning for whether or not you would have chosen the same path. Similar to the second question, this prompt provides an opportunity for you to write about real-world thoughts and experiences. Keep in mind that the prompt is focusing on a problem (contemporary or otherwise). While you should definitely choose a topic that you are passionate about, remember that the class is supposed to address and discuss a problem rather than a set, concrete topic (such as microbiology). This question is best for those who are passionate about a contemporary issue or general problem, and have spent a bit of time thinking about it. The prompt asks you not so much to explain how you would structure the class, but rather why you would choose that question/topic for your course. Why are you passionate about finding a cure for breast cancer? Why are you really interested in the food-waste problem in the United States? Ideally, you would have thought about the issue to an extent that you have ideas of rough solutions. Feel free to break up your essay into three paragraphs: stating your issue, explaining why you chose that issue (this paragraph should be the longest), and providing thoughts on possible solutions to this problem. Keep in mind that the point of every essay is to reveal more about who you are. The admissions officers want to know more about you than they do about the topic you are writing about, so keep in mind while writing to write intentionally and portray yourself in a light in which you wish them to see you. This is a subtle “Why Boston College?” question, and if you have strong, specific reasons for applying to BC, you may want to take this opportunity to write a more school-specific essay. The question itself is broad, and like for other essays, focus on being truthful and stick to what you are passionate about. Take some time to think about how you truly want to grow in college. What kinds of skills (academic and otherwise) do you want to learn? Are there are any personal characteristics you wish to strengthen or weaknesses you hope to turn into strengths? Is there a specific research project at Boston College that you wish to work on? You don’t need to know where you will be in four years; in fact, the question is not asking how attending will meet your personal goals, but rather how your current goals will help you grow during your college career. In this response, be sure to have a balance of personal and academic goals; mention your desire to delve into metaphysics and also your wish to try something completely new and out of your comfort zone, like hip-hop dancing. Admissions officers want to know that you are coming into BC with developed interests and passions, but also a heart to gain new ones. The “living a meaningful life” phrase in the prompt is key. Reflect on how your interests and goals tie into living (what you consider) a meaningful life, and how you hope to develop and grow those ideas in college. Communicate to BC how going there will influence you as a person, and also touch on how you might be able to make an imprint on the campus as well. The Boston College prompts allow for deep, personal reflection and the chance to share that with admissions officers. Don’t be afraid to be honest and candid in your answer. Want more assistance on your application? 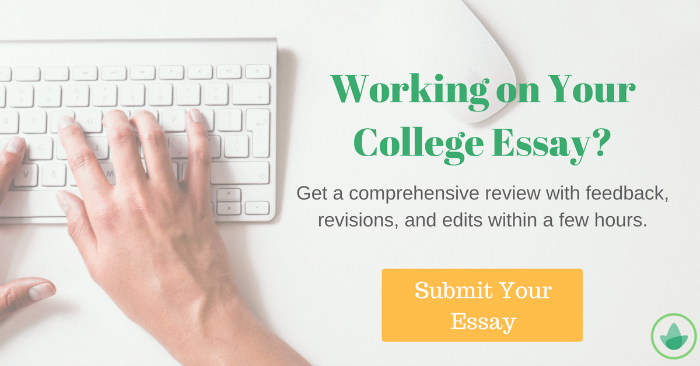 Check out the CollegeVine application guidance program.